Country music is in Jaydee Bixby's blood. For generations, his relatives have been known as the Hillbilly Bixbys in Drumheller, AB, and Jaydee grew up singing at bars and rodeos with his parents' family band. Following in this great lineage of raw, honest country music is the 22-year-old's third full-length album, Work in Progress. 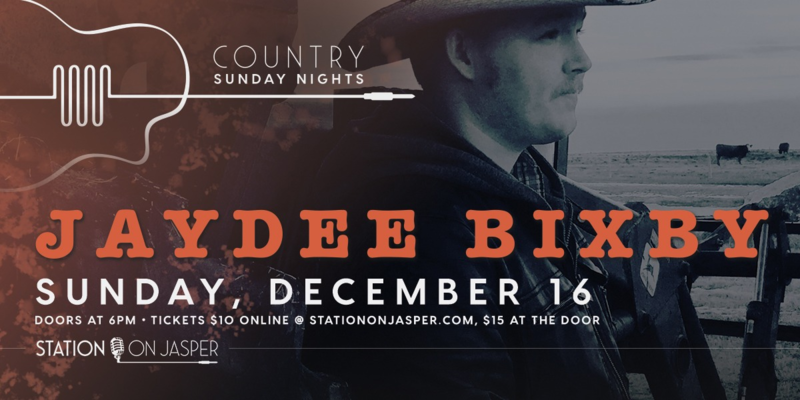 Station on Jasper is the latest stop on his musical journey - join us Sunday, December 16 and experience Jaydee's rich barritones and rustic yodels for yourself.